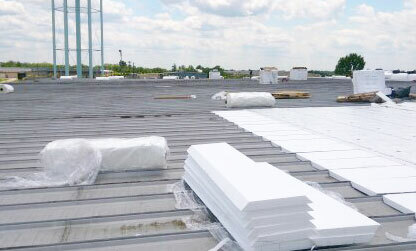 Commercial Roofing Specialists - Louisville Roofing Contractor | Solutions – they're at the heart of our name and the heart of everything we do. 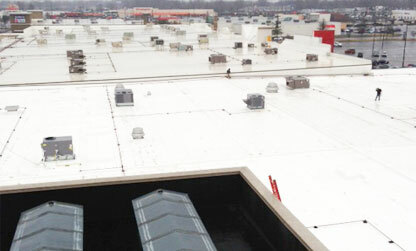 We offer unbeatable solutions for any commercial roof. As Kentucky's Platinum Duro-Last Roofing Contractor we offer the best solution for all your roofing needs. Our roofing career began more than 20 years ago as a technical representative for Duro-Last™ Roofing, Inc. In that role we were responsible for inspecting the installation of Duro-Last™ roofs by contractors throughout the Southeast. Since then, over the last two decades we have come to be Louisville's and Kentucky's number one roofing contractor. Each and every Duro-Last™ roof we inspected was subject to stringent quality and installation guidelines and we were the company's representative on those roofs. Seeing an opportunity for a quality roofing company in the Louisville area we began Roofing Solutions, Inc. For nearly two decades, Roofing Solutions Inc. has been a quality installer and a certified Duro-Last Roofing specialists. In fact Roofing Solutions Inc. is a Platinum Level Duro-Last™ Roofing, Inc. contractor. Being Duro-Last Platinum Contractor means all of our roofing installation had to perform at an extremely high level of quality. Only 3% of Duro-Last™ contractors reach platinum level in the entire country and we are proud to be Louisville Top Duro-Last Commercial Roofing Company. Roofing Solutions is Duro-Last's FIRST Platinum Contractor in Kentucky. In 2014 and again in 2015, to honor and recognize contractors whose roof installation quality was beyond even the Master and Elite Level, Duro-Last instituted a new level of achievement – the Platinum Contractor. This means the contractors who are recognized as Duro-Last Platinum Member have quality scores that are among the highest in the country when compared to other roofing companies. Roofing Solutions has been recognized as the First Platinum Duro-Last Contractor in Kentucky in 2014 and 2015. Commercial Roofing Contractor - Roofing Solutions can provide you with a long list of services as it relates to your roof. However, the most important service we can provide is the perfect solution for your roofing needs. As an expert Flat Roof Specialists, when we first come to the property we take an inventory of the current status of the roof, equipment additions and subtractions, and take measurements. When determining our roof replacement and repair estimate, we take into account the type of property, traffic on the roof, longevity targets, and budget considerations for roof replacement. We then provide you with the optimum solution for your budget and situation. Over the last 20 years, we have installed over 7 Million square feet on over 500 Duro-Last warrantied jobs in more than 20 states. As a Duro-Last Commercial Roofing Contractor, we continuously maintain a high degree of both quality and installation proficiency. 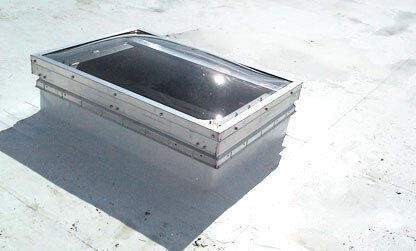 Roofing Solutions is your Number One Choice for all Commercial Roofing Needs. © Copyright 2015-2018, Roofing Solutions, Inc.